Semi Automatic Powder Filler Machine With Touch Screen - Vtops Machinery Co., Ltd.
Semi Automatic Powder Filler Machine Equipped With Touch Screen is our company in the UA-P1 based on the development of new products. Imported servo system instead of the traditional stepper motor control mode， by the Chinese and English LCD touch screen display instead of single-chip microcomputer, the whole performance is more excellent. Using AC servo motor to control the filling, have higher torque, and the torque is not reduced at high speed. The maximum speed of the stepper motor is generally between 300-900RPM, and AC servo motor speed is generally 2000RPM – 3000RPM. Need to replace the Auger Filler and Tube to guaranteed accuracy and speed; details reference the “The Diameter List of Auger & Tube (Funnel)” please! 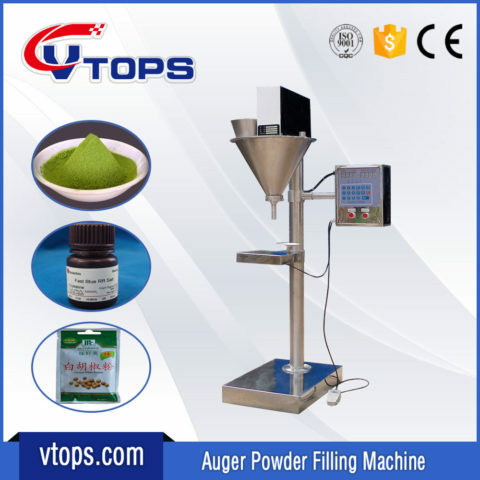 How does the semi automatic auger powder filling machine work? How does the semi automatic auger powder filling machine shipping? 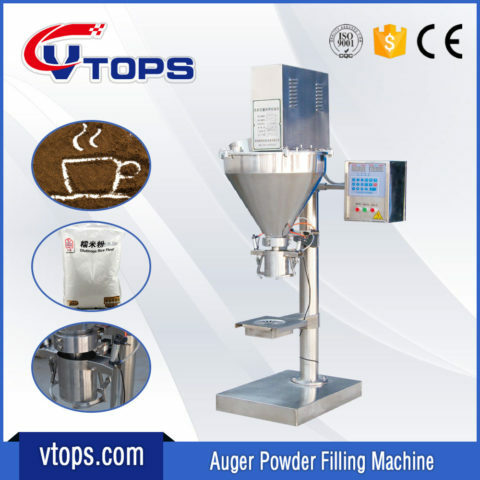 How does the semi automatic auger powder filling machine install?